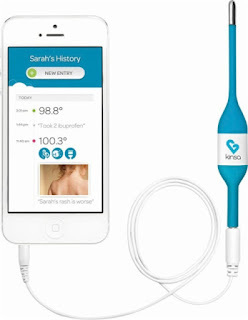 Grab this Kinsa - Smart Thermometer for $9.99 (Retail $14.99). The Kinsa Smart KSA-003B thermometer uses your compatible mobile device to provide an accurate temperature reading fast. The Kinsa app (download required) lets you track symptoms, medications, notes, and pictures for your family.